Software Engineer working in the field of network optimisation products. Lots of C/C++/boost, embedded hardware, linux kernel, TCP, SSL, deep packet inspection, SNMP, SQL, IPv6, QoS, policy based routing, virtualisation and appliance management. There are eight HDMI inputs (IN1, BD, IN2, IN3, IN4, IN6, IN7 and IN8) on the back panel with an additional HDMI input on the front (IN5/MHL). There are two component inputs, two coaxial digital inputs, two optical digital inputs and a number of analog and composite video inputs. Other inputs include the adapter port for an optional bluetooth adapter, an Ethernet port and a WiFi adapter (usb) port (not shown) for network access and a USB port on the front. Audio assignment for the TV device is not available when HDMI ARC (‘Audio Return’) is enabled. When ARC is enabled the audio is taken from the return audio path via the HDMI OUT 1 output. The Analog and Composite fixed inputs are dedicated to the specified device and not assignable. All devices have IR input codes to directly select the device. All devices have separate ‘Auto’ input IR codes that as well as selecting the device will also power on the AVR if it is not already powered on and then switch to the selected input. This is very handy in that it avoids a delay that would normally be needed to wait for the AVR to power up before selecting the correct input. When an audio only device is selected the HDMI output appears to be turned off. 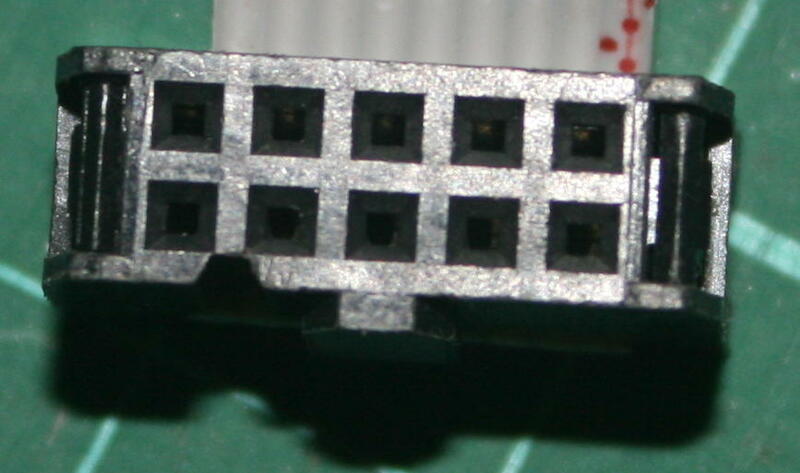 HDMI4, HDMI6, HDMI7 and HDMI8 are connected via an internal HDMI switch. This does not effect assignment or input selection but it does effect the HD-ZONE output (If using the third HDMI output as a separate zone.) It is not possible to have more than one source from this group active at any time. The inputs without a direct access key on the remote can still be selected by using the HDMI input cycle button or the next/previous device button. The MHL remote button does not have any device code associated with it. It switches the remote to the Pioneer MHL control IR code set. The HDMI remote button does have a device code associated with it, but it will also cycle through any HDMI input that are not skipped each time it is pressed. In many ways this is far more complex to setup and far more restrictive than the Yamaha RXV-3800 that it replaced. All the extra inputs and the full list of IR codes made available by Pioneer though have made this far less of a problem then it might have otherwise been. Note that the Pioneer SC-LX57 is also known as the SC-75 in other markets. The SC-LX77 and SC-LX87 (SC-77 and SC-79 in other markets) are practically identical from the input device configuration point of view (with the addition of a PHONO and USB DAC inputs being the main differences). Everyone is going crazy over mechanical keyboards these days and if everyone else thinks it is a good thing then surely it must be? As someone who spends a good part of everyday using the keyboard and mouse I consider these tools of my trade and having a keyboard you can use day in and day out is important. So with my existing keyboards (I make sure I have the same at home and at work) showing their age it was time to look for something new. Most people probably find the choice of mechanical switch type the most difficult thing to settle on, and I was certainly no different in that regards. Moving on from the Logitech DiNovo for Notebooks keyboard which have a very light press and short travel it looked like the Cherry MX Red switches would be the closest match, and probably more suited to what I liked in a keyboard. In the end it was either the Reds or the Browns and decided to go with the Reds, being the closest to what I am used to. The next consideration was the size of the keyboard. As someone who has practically never used the number keypad area of the keyboard it seems like a waste of space having it there. So a TKL (Ten Key Less) keyboard which does away with the number keypad area seemed like it would be well worth trying, if I could find a suitable keyboard in TKL form. Availability of TKL keyboards seems quite limited so I wasn’t sure this would end up being possible. Next up was the type of keycap type. Anyone reading up on these will already know that most keycaps are made from ABS which tend to get shinny after a lot of use, while PBS is apparently rougher feeling but will last longer (although how many keycaps have you actually ever worn out?) and won’t develop a shinny surface as quick. Looking at how shinny the keys on my existing keyboards are it seemed like PBS keycaps would also be worth trying out. And lastly there are different methods available for putting the writing on the keycaps. Considering how quickly I wear the writing off I really liked the idea of dye sublimation, where the dye is sunk into the keycaps, so the writing will practically never wear off. Anything that last longer would be good though, but at the end of the day I don’t look at the keyboard much so if anything was going to be left out this would be it. I must say that initially the noise of the keys (as they bottomed out) was very off putting. But now I tend not to bottom the keys so hard and am far more used to the sound of the keys. Unfortunately I think you really need a week or two to get the feel for the keyboard so one day I might be forced to buy a keyboard with Cherry MX Brown switches to see how they compare. At this stage I would say I am happy with the Red’s though and this keyboard definitely feels better now than my old Logitech DiNovo for Notebooks keyboard. It feels very heavy. Checking the scales it weighs in at 953g, which is surprisingly not that much heavier than the Logitech DiNovo for Notebooks which weighs in at 890g. It is smaller so maybe thats why it feels like it is so much heavier. TKL is a fantastic idea. I have not missed the keypad one bit while loving the extra space afforded by not having it. I can’t see my getting a full size keyboard ever again as long as their are decent TKL versions available. As well as bringing the mouse in closed This has allow my Wacom tablet, which sites to the right of the mouse, to be a few inches close which makes it a lot more comfortable to use. Going back to a wired keyboard from a wireless one has not really been an issue. I think for a mouse it would be very annoying but the keyboard its fine. Even on the few occasions where I need to push the keyboard out of the way it hasn’t been an issue. The cable can be routed to the left, center or right. Initially I had it going to the right be ended up moving it to the center. The only let down on the Leopard is the writing on the keys. The letters appear to be just stuck on and after only a couple of weeks the writing on the left Ctrl, left Alt and A keys is half warn off. I still think TKL was worth it over keys that keep their writing, but it would have been nice to have both. I can happily recommend TKL keyboards to anyone thinking about them. The Cherry MX Red switches I am pretty happy with, but they are very light to press and have no feedback at the point of actuation. In many ways this is similar to the DiNovo Keyboard for Notebooks although the key travel is a lot further. The Leopard FC700R is an excellent keyboard, but now that PC Case Gear have stopped carry stock it looks like it may be difficult to obtain in Australia now. If Ducky ever release a TKL version of the DK9008G2 Pro PBT I will be be forced to try that out, otherwise I think my FC700R will suffice for a long time. Highly recommended. I recently found the need to have a serial cable connected to my server, but like most systems these days there was no serial port to be seen on the back panel. The motherboard in the server is an ASRock Z77 Extreme4 which includes a COM port header on the motherboard. Looking around the office at other motherboards the only other motherboard with a COM port header is the ASRock Z77 Pro4 M. There is also an ASUS P8P67 Pro and a Gigabyte GA Z68M D2H being used, neither of which contain a COM Port header. So this appears to be a common feature of the ASRock motherboards. So with the COM header on board the search was on to find or make a cable up to be able to make use of this header. The pin layout for the header is included in the manuals so making a cable would have been relatively easy, but making up someone to connect it to the back panel might have requires some creative work. Buying a pre-made one was always going to be easier, so that was the preferred option. The cables were tested on both of the ASRock motherboards and worked fine in both cases. 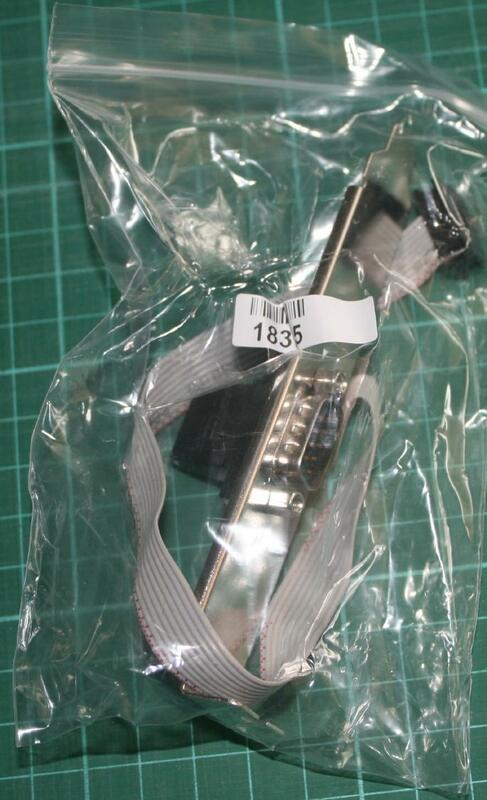 The ribbon cable is 270mm long which provides plenty of room to reach the back panel from the header. Monitoring of the UPS status on the server has been happily working via the serial connection to the UPS for several days now. So if you have an ASRock motherboard with a COM port header and need a serial port these low cost adapters look like they work fine. What better way to wake in the morning than to a bit of streaming radio? No longer limited to the few FM or AM radio stations in your area and the option to the play your own music or stream from online music sources. There were were two devices that I had in mind when I decided that none of the local radio stations were really doing much for me. Taking into consideration that I already had a Logitech Squeezebox Classic (V3), the Logitech Squeezebox Boom seemed like the ideal candidate. It would be able to use my existing Logitech media server with all the existing local music and online music sources already present, and provide synchronisation and transfer options. The other option that seemed like it might work as a DAB+ clock radio with line in paired with another Squeezebox Classic or a Squeezebox Touch. The need for multiple devices and the poor selection of DAB+ clock radios meant that this idea was abandoned early on. So when the Squeebox Boom was put up for sale I jumped on board and ordered one. Another employee from my office also order one shortly before mine… which he received. But all I received was a call indicating that the last of the stock had been sold before they got to my order! So the Squeezebox Radio was last option for a self contained unit that could use the same Logitech media server install and had it’s own amplifier and speakers. The Radio also had the option for battery power and I eventually decided to buy the optional battery + remote pack. The first step out of the box is the setup processes and this can be a little confusing. You need to have a squeezebox.com account to complete this step, even if you have no plans to use it. I highly recommend creating this account before hand so you don’t have to try and create it on the squeezebox itself. 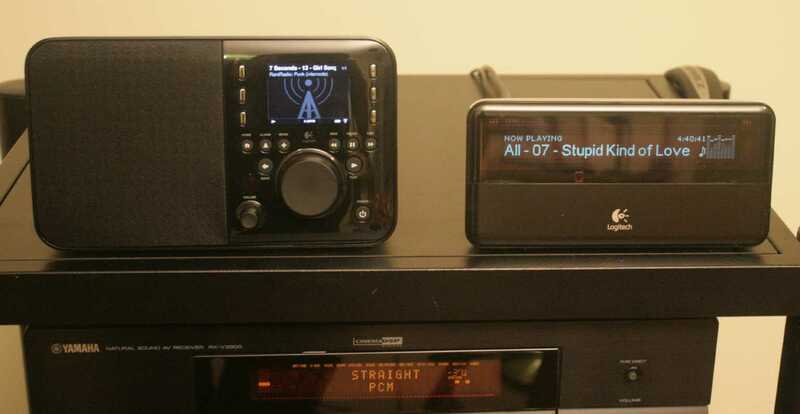 If you have are running a local copy of Logitech media server then it will require a specific version of the firmware on the radio, which may be different to the version that the squeezebox.com service requires. This can result in some confusion about what version is needed! In my case it kept telling me it needed to upgrade to use my local Logitech media server, but what it actually mean it needed to downgrade, and that downgrade kept failing. After upgrading the local Logitech media server software version to the latest and power cycling the radio it all worked smoothly. This wouldn’t be an issue if you were not going to try and use a local instance of the Logitech media server. On the older Squeezebox Classic you got a nice big VFD display, while on radio you get a smallish LCD in its place. The new LCD can give you more menu options and once and show cover art it is rather small and I really do look the VFD displays in the original Squeezebox Classic. One area where the extra real estate of the LCD is noticeable in particular is manipulating alarms and play lists. With a relative small size it does mean you need to be up nice and close to make sense of what it is showing. The radio doesn’t have the sound quality or volume of the Squeezebox Classic connected to an expensive Hi-Fi system, but its reasonably decent (if mono) and perfectly suited to bedroom, bathroom, kitchen and back yard duties. It would be interesting to compare to the sound of the Squeezebox Boom which has stereo output but physically looks like the speakers are smaller. Even at maximum volume there’s no distortion to be heard – the sound remains very clear. After much thought I decided to acquire the optional batter and remote pack. And despite the rather high price I am pretty happy that I did. The battery means I can take the radio from the bedroom to the bathroom and it keeps on playing. Or I can drag it into the kitchen, or head out to the garage or wonder out to the the back yard and it keeps on playing. Sure you could take the power adaptor with you and plug it in at your destination, but that’s more work and you’d have no audio while moving between locations. When put into standby while on battery power the radio will turn off totally after an hour to save the battery from being drained. If it remains connected to the mains then it remains in standby ready to go. When totally powered off there is a reasonably long delay (approx 20s) while it powers up. Over time I have found myself carry the radio into the kitchen while cooking and now consider it an excellent accessory for the kitchen. So much so that I may well be tempted to buy another one to use as a dedicated kitchen unit! A recent problem that I have experienced is that after powering off (after the one hour on standy) the radio immediately powers up again, and resume playback of whatever is was playing when turned off. This didn’t happen originally so is possibly trigger by having the alarms enabled (it should wake up when the alarm is ready to fire) and was setting the radio to resume playback whenever it is powered up. This is a combination of having the squeezebox radio set to resume playing at power on and then turning the radio off. If I turn that setting off, or if I pause playback before turning it off, then the radio correctly turns off. The preset buttons are very handy for quickly selecting one of your favourite stations or playlists. I have the 6 most common internet radio streams I listen to set on each of the presets and makes it a lot easier to change between stations without having to look at the screen, such as when using it in the bedroom. Perhaps the only downside is that there are only 6, and that they can’t be selected from the remote control. The remote has turned out to be very handy when using it as a sleep radio and/or alarm clock. It is a lot easier to operate the sleep timer, volume, menus and alarms from the little remote than tying to reach out and press the buttons on the front panel. I also find is a bit quicker to walk through the menus using the little remote than trying to use the dial on the front panel, so if the remote is handy sometimes use that instead of the dial on the front. The WiFi connection has been rock solid and works all around the house, outside, in the garage etc. In areas where my Samsung Galaxy S2 smart phone looses WiFi access the radio is still showing a high signal strength and still streaming fine. Being able to use the radio as an alarm and to run it on a sleep timer at night was one of the main reasons I decided to buy the Squeezebox Radio. What I didn’t expect was just how much I would appreciate having multiple alarms, with specific days and times (anyone who uses their smart phone’s alarm functions may be familiar with this.) It is very nice not having to remember to turn the alarms on and/or off and to be able to set weekend alarms days before the weekend. And there’s an al off for those times when you on holidays and don’t want any alarms. The alarm has been rock solid running from the local Logitech media server. Other reports suggest that this is not very reliable but most of those reports appears to be when using mysqueezebox.com. Another squeezebox owner (of the boom) reporting problems before switching to a local Logitech media server. Back when I purchased the original Squeezebox Classic I felt the only thing wrong was how long I waited till I purchased it! I think the same can be said of the Squeezebox Radio. Originally it was the ability to use it as an Alarm clock that was my main interest but now find myself carry it all over the place. It’s not perfect but for anyone who already owns other Squeexebox products it is definitely a nice addition. If I didn’t already have the Squeexbox Classic and the associated Logitech media server running then I may have looked elsewhere, but with those already running it made sense to get something that fit well with the existing components. The cost of the Radio was $USD149 and the optional battery pack and remote was $USD50 from amazon.com in June 2012.